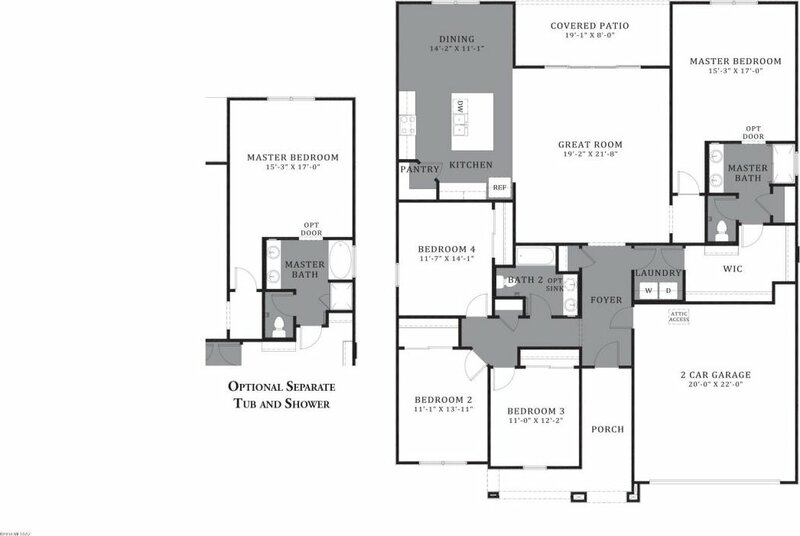 Thoughtfully designed great room plan with split bedroom floorplan and an entertaining kitchen complete with Stainless Steel appliances including gas range, Espresso Maple Shaker cabinets, granite slab countertops plus 7'' x 20'' Gray Driftwood ceramic tile in stagger lay. 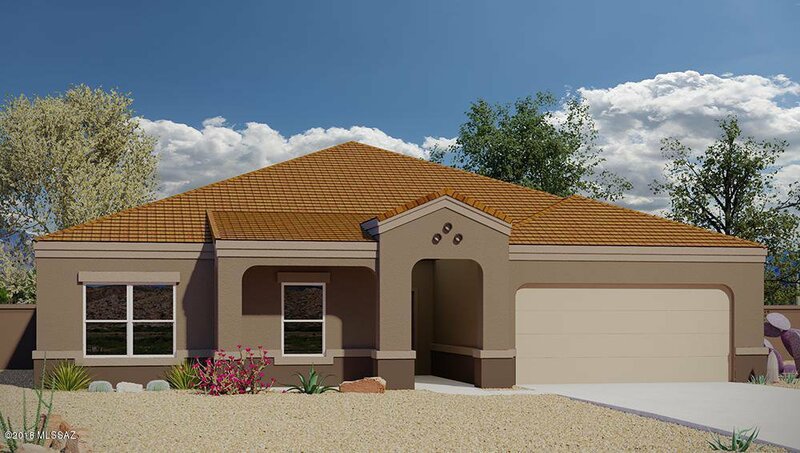 Additional details include 2-tone interior paint, fully finished garage with opener and remotes, plus covered patio. Quality Construction & Low Cost of Ownership with Builder Warranty! This is a home to love! Ready to Move In! From I-19 and Sahuarita Road, take Sahuarita Road West to La Canada. Turn left on La Canada approximately 1 mile to El Toro Road. Travel East on El Toro Road approximately .2 miles to Camino De Las Quintas, turn south. Follow to Quiet Meadows Way, turn right into the community. Follow signs to model.